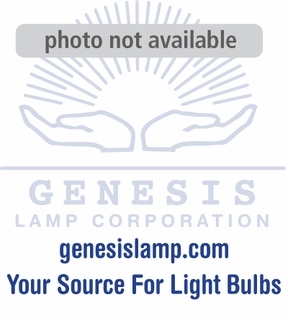 Description: This lamp is a 25 watt, 120 volt clear incandescent light bulb. It is tubular in shape with a 1 inch diameter, a screw base measuring 17 millimeters in diameter and an overall length of 2.6 inches. It is rated at 2500 life hours and can be used in various appliances. 1 - 9 $1.84 ea. 10+ $1.71 ea.